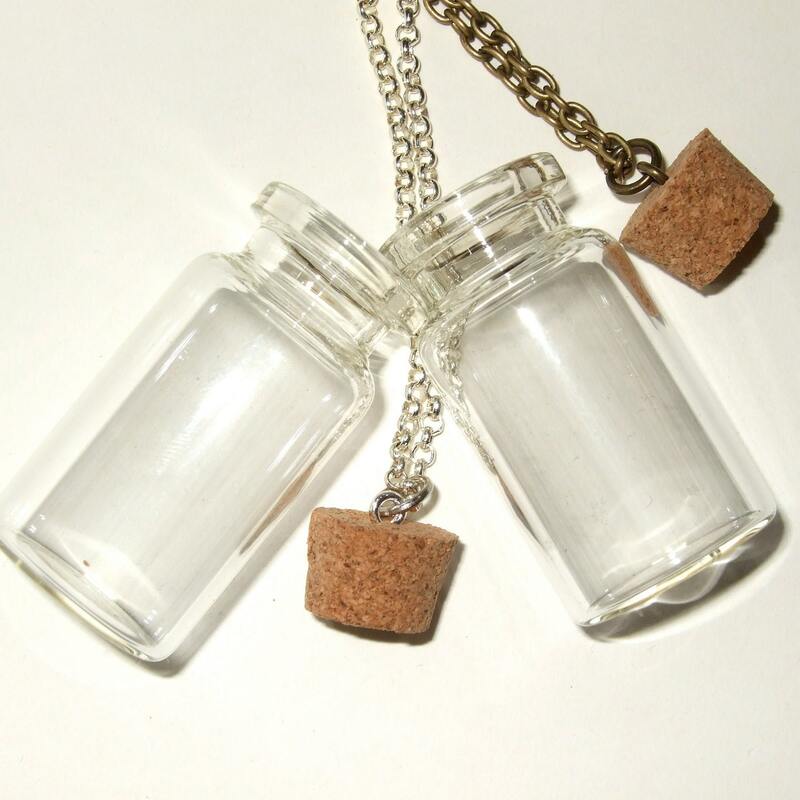 Message in a bottle, or DIY bottle necklace - if you have been inspired by my range of bottle necklaces (or especially if you think "hey, I could do WAY better than that!") 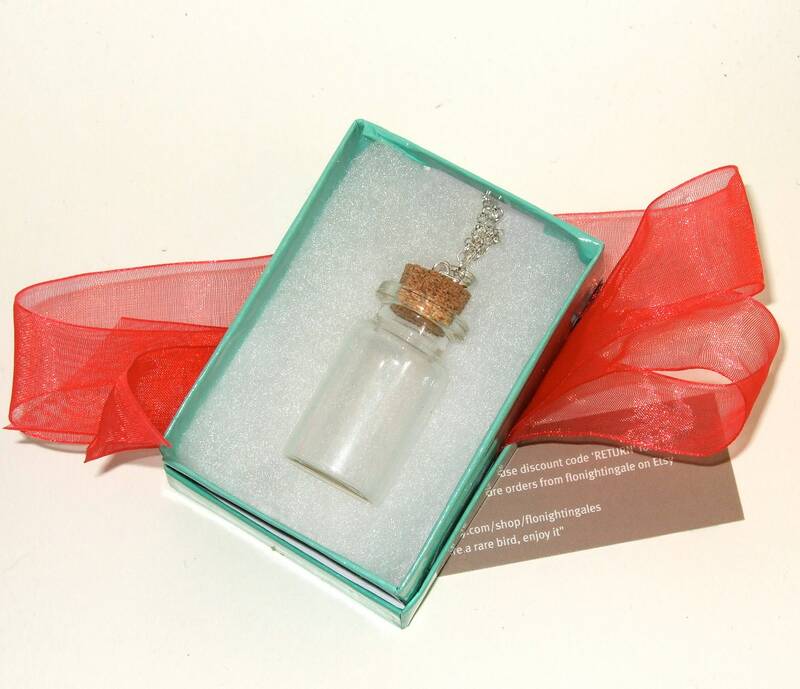 then why not do it yourself? 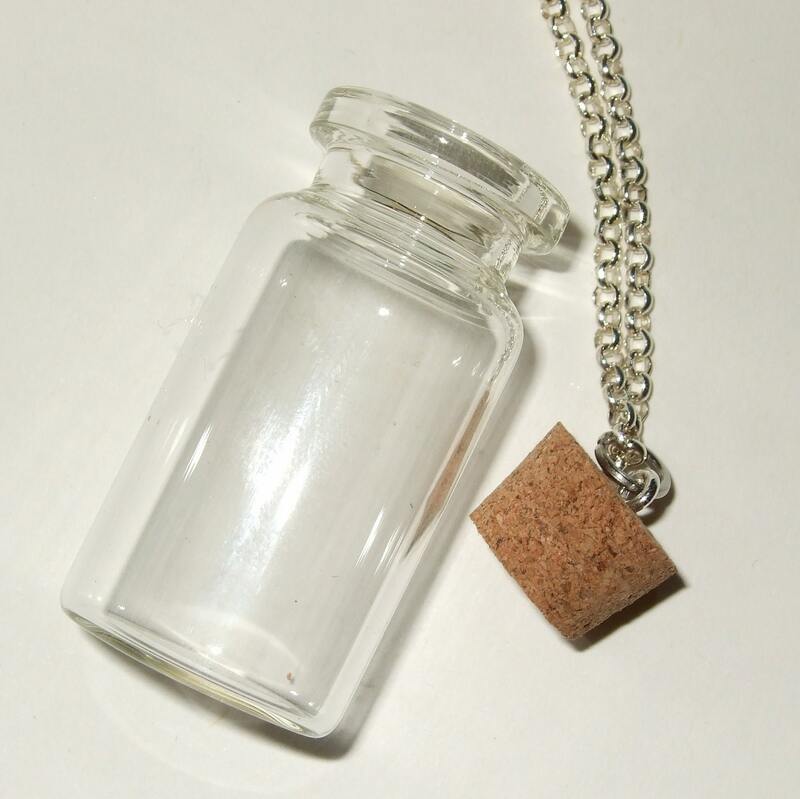 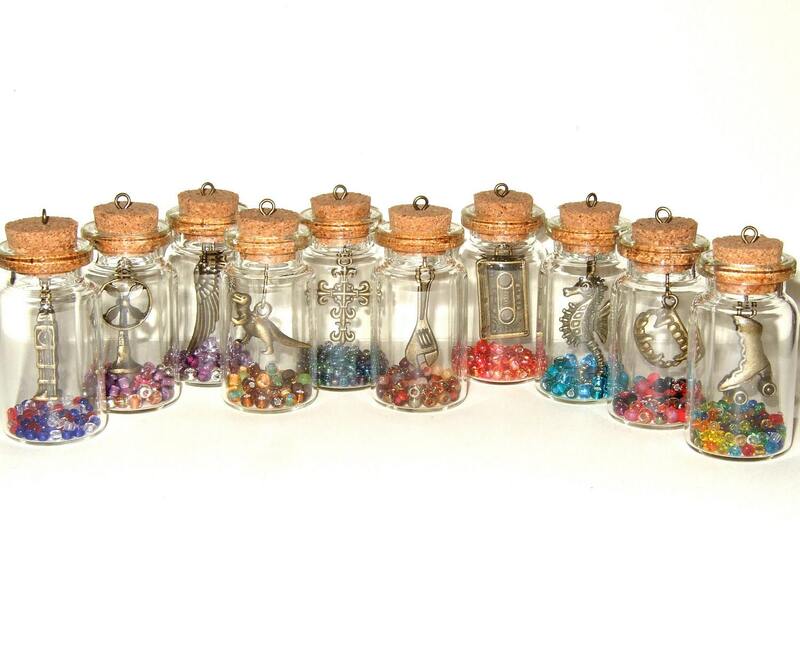 Necklace comprises a clear glass jar, approximately 1.75"/4.5cm tall, with a cork which has been pre-fitted with an eye pin loop and jump ring, hanging from a silver plated chain - please choose your preferred length from the available options. 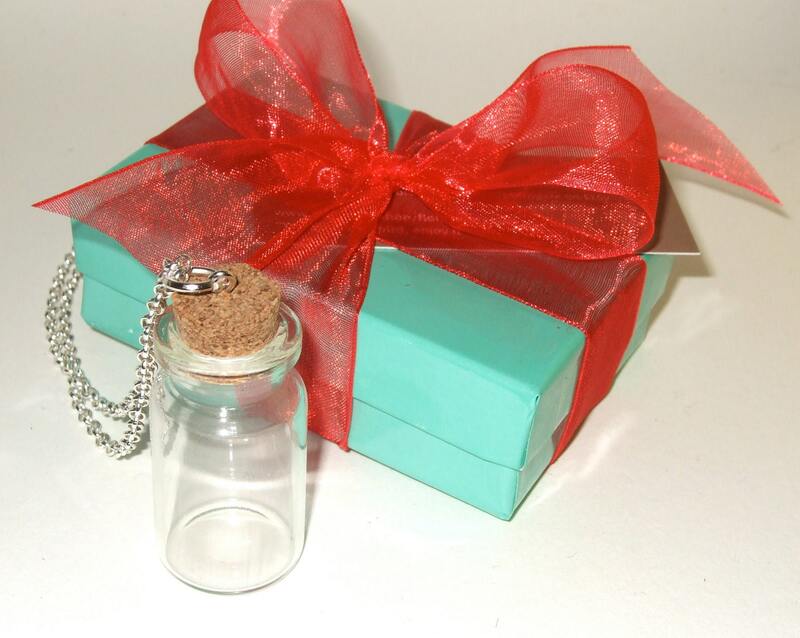 Also included is a cardboard gift box* with an organza bow* and gift bag*, perfect to give as a special gift or to keep your bottle safe and cosy in just for yourself.